Occupied Aaiun, June 28, 2018 (SPS) -The UN Secretary-General's Personal Envoy to the Western Sahara, Horst Koehler, has arrived to the occupied city of El Aaiun on Thursday as part of a tour to the region. According to Sahrawi human rights sources, Mr. Kohler arrived to the occupied city of El Aaiun on UN plane, amid an army and police deployment in uniform, a civilian and police intelligence personnel in all the streets of El Aaiun. 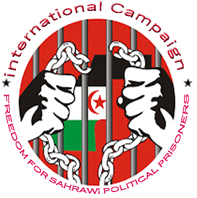 According to the same source, "despite the Moroccan authority’s repression, the Sahrawi masses have organized a massive peaceful demonstrations advocating for independence in freedom for the Sahrawi people. The same source added that the demonstrations were witnessed in a number of neighborhoods of the city of El occupied Aaiun where clashes broke out between the Moroccan repression forces and Sahrawis in Mazwar Street, Boukraa leadership, the neighborhood of Matellah and Battimat .